Agile revolves around the above quote and is a preferred methodology for app development, where customer satisfaction is synonymous with quality, and the quest for perfection means iterating and iterating often. When you think about it, this makes sense. Change is a constant factor in app development, so a development process that leaves room for it at every step fits perfectly. With agile, a software solution is always a work in progress with a focus on delivering results consistently and swiftly. For app development companies, an agile approach allows more room for iterations than the traditional sequential approaches. The waterfall methodology is one example. Why is agile now preferred over them? You see, the thing with linear models is that they only go in one direction. App development projects that follow the waterfall approach work the same way, consisting of fixed stages. This basically means that you can’t really move onto the next stage before completing the previous one; with bug fixes, feedback and all. Think of the process like building a bridge. Any mistake in a completed bridge can’t be undone without making significant changes that might end up compromising the structure’s quality. Solving this problem is the goal of the agile product development methodology. 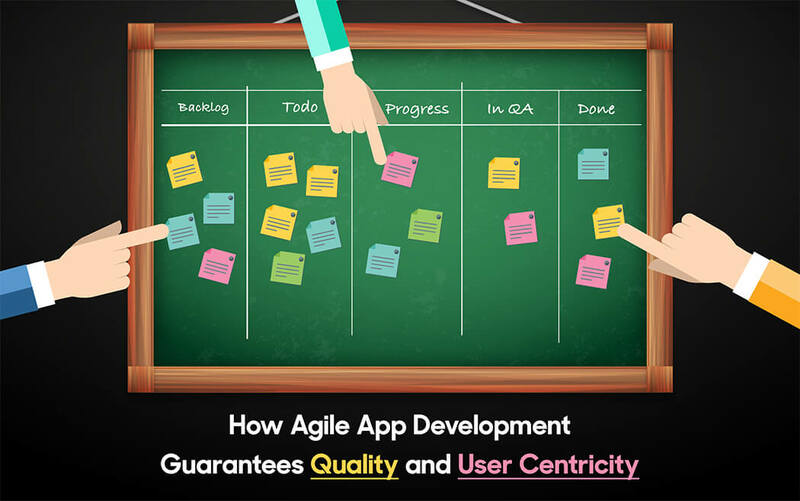 And in this post, we will discuss how agile makes quality and user centricity a guarantee in app development, and share tools to help you manage agile app development projects. The first principle in the Agile Manifesto values “individuals and interactions over process and tools.” It is a development approach that makes PEOPLE the focus. For app developers, these people are clients and end-users. User centricity is a major focus in app development. For app developers, it means creating products that end-users would actually want to use. Human centered design, therefore, becomes a priority and designing for different needs becomes the standard. But end-users are people and their needs change on a dime, something that designers and developers are all too well aware of. To them, the development cycle doesn’t become a matter of re-applying processes but continuously changing them to accommodate these needs. Agile development encourages developers and designers to focus on these changes as they happen. In the waterfall app development, where scope and requirements are clearly defined, it isn’t difficult to map out a plan and stick to it. On the other hand, projects where requirements are subject to change over time as clarity is achieved require teams to be more agile. For projects that have a vision but there isn’t concreteness around how the end product would help bring it to life, uncontrolled changes during development, also known as scope creep, is an all too familiar occurrence. In such cases, what is to be clearly defined is the goal of the product and its impact on the user. The features required can slightly change over the development lifecycle. When you consider clients that start off with a goal but are compelled to change initial requirements down the road to make up for changing business requirements, this makes sense. For example, let’s say that a client’s goal is for a mobile app for their customers to order pizza and increase sales. Designers work on the initial UI and present it to the client. “It looks great,” the client says, “but we are working on an idea to introduce a new option that allows customers to use coupon codes, so could you incorporate that as well?” And, this is still in line with the goal of your client. In agile app development, the focus is on fulfilling these requirements while keeping the client’s goal in mind. To figure out these requirements, product development becomes a matter of constant iteration and communication that involves everyone, from clients to project managers and development teams. Some companies today use linear approaches for developing applications, but only for projects that have a clear and fixed scope. The waterfall app development approach, which consists of a sequence of phases becomes a good fit for such projects. Here is an example. 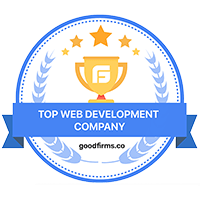 Consider a project where a client requires a simple website for their online presence with information about their services, portfolio, processes, brief information about their vision, and a contact page. The scope is pretty self explanatory. So the features required in it and the implementation plan may be easy to figure out. But what about complex projects with a defined high level scope but hazy detailed requirements to meet end-user goals? Ensuring a quality product would therefore require constant back and forth to figure out pain points and where development efforts should be directed. In this case, a waterfall approach becomes ill suited. To eliminate this unsurety, teams must be agile. 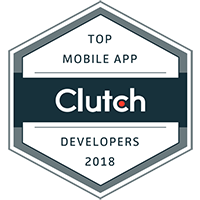 Call it a hypothetical approach to app development where the scope of a complex product is initially defined but the client’s wish list of requirements may slightly change after viewing each build. Successful agility depends on effective collaboration and continuous improvement. Determining where efforts should be directed becomes a matter of creating estimates throughout each stage, gaining feedback and iterating where needed. It ensures that the client receives a product that fulfills all their goals. Take complex enterprise applications that are created for business processes, for example. Unlike consumer apps in which the focus is mostly usability, enterprise apps have to cater to specific end users and integrate with different workflows and processes of the organization. This also makes their requirements far more complex than regular consumer apps in which goals are usually defined and the product is created in a couple of sprint cycles. JIRA: A project management and issue tracking tool for agile app development teams. It has features that facilitate most agile formats like customized Scrum and Kanban boards. With powerful developer tools integration, such as with GitHub or BitBucket, project managers can benefit from end-to-end traceability. Trello: Trello is another renowned collaboration tool that project managers use to plan and manage projects. With this, you know which resources working on a particular task and the stage of each. Need to build a mobile app? Tell us your requirements, and we’ll get back to you with a project plan for your custom built mobile app. Here are some key takeaways from this post. Enjoyed reading the article? If UX also interests you, check out how you can create amazing designs by anticipating users’ needs.